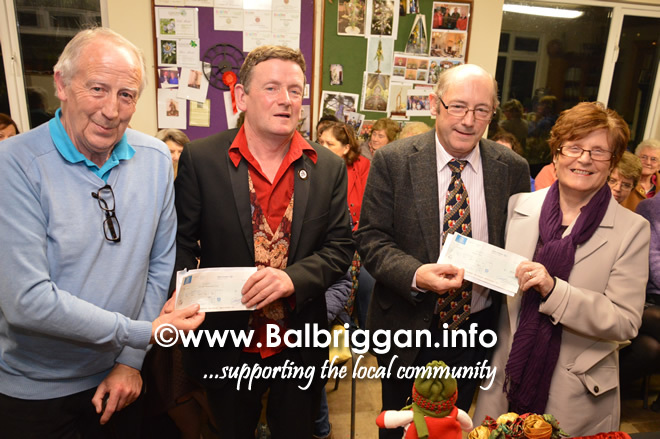 Back in November Naul Gardening and Flower Club organised “A Bit Of A Do” Charity flower arranging event and chose two very deserving causes as the recipients of the proceeds – Balbriggan Cancer Support Group and Naul Senior Citizens. On Wednesday night Christopher White and Mary Dodrill presented the cheques to Balbriggan Cancer Support Group & Naul Senior Citizens for €850 each. Well done to all involved.